The Inner City College will be built at Kitchener Park in Subiaco, next to the iconic Subiaco Oval. 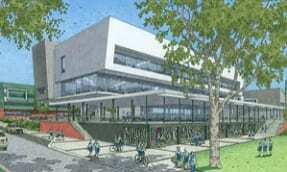 The design of this school will incorporate its iconic location and is expected to cater for year 7’s through to 12. Construction is expected to commence in mid 2018 and the first intakes will be targeted towards the year 7’s in 2020. By 2025, we’re expected to see an expansion of the school whereby it’ll be ready to cater for years 7-12!